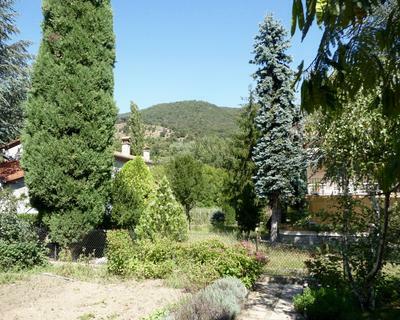 The house is situated in the valley of Vallespir in the « Pyrénées Orientales », between Arles-sur-tech, a lovely medieval village with the main shops and Amélie-les-Bains which is 30mn driving from spain and the beaches of Collioure and Argelès. It’s an attractive valley with mountains and country-side activities as well as a golf course and casino. it’s a renowned health resort center where you can take the waters & spas due to a specific thermal water for pulmonology and arthrosis recovering, the climate here is known to be dry and very sunny with very few rainy days. The house is a good investment with its two accomodations and it is very interesting for renting if you want to, being at 5minutes driving from the health resort, so we have a lot of requests to rent 3 weeks at a time to anyone who want to take the waters here as their water cure is refunded by the Social Security. It is also an attractive place to come on holiday. The house is just ready to live in, all the paintwork has been done inside and outside, it’s a traditional construction has a living space of 200m2 on a 800m2 land with grown up trees and a fence all around with a 5 meters gate. The house is surrounded by large terraces with two garages for 4 cars. A useful workshop with windows is under the veranda. It has all modern conveniences, gas central heating and double glazed windows, the rooms are all large and bright with panoramic windows and a lovely veranda facing south, which heats up the rest of the rooms around. It has got a a very good insulation. 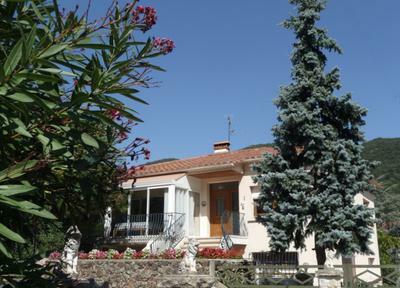 On the ground floor : a 80m2 independant accomodation approved by the « Gîte de France » ideal for holiday rental with regular 3 weeks thermal cure renting. 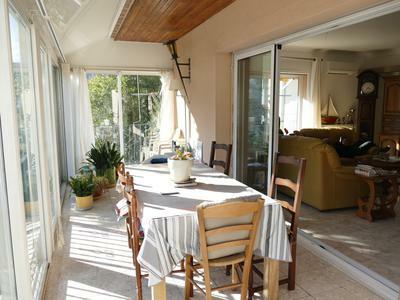 It has a hall, one bedroom, a fully equipped kitchen, a living dining room, a bathroom with toilets and a 20 m2 garage. 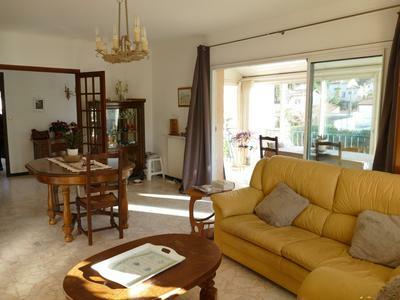 On the first floor : a 100 m2 accomodation plus a veranda, with a large hall, a fully equipped kitchen, a living dining room with a fireplace, overlooking a sunny veranda and terrace, 2 bedrooms, bathroom with bath and shower, a separated toilet. To be discovered and visited without delay so do not hesitate to contact us for more information.